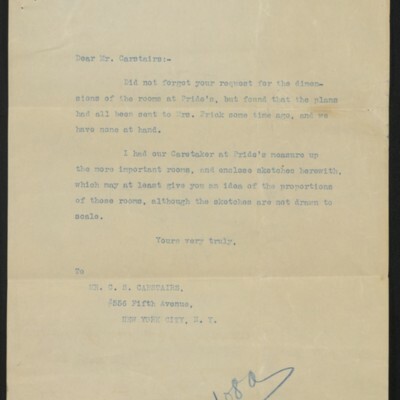 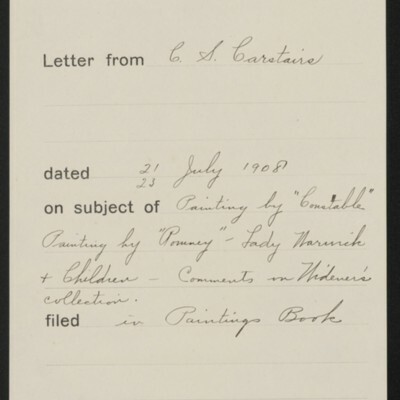 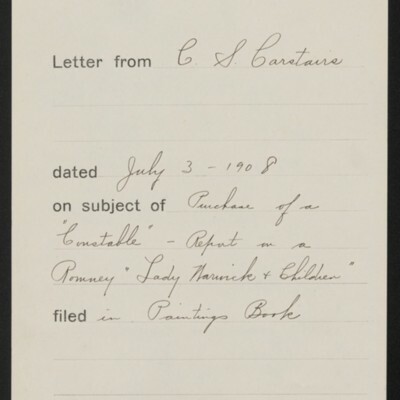 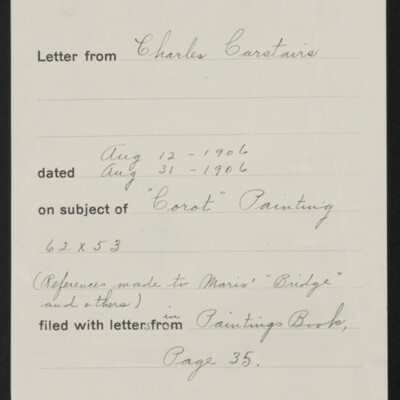 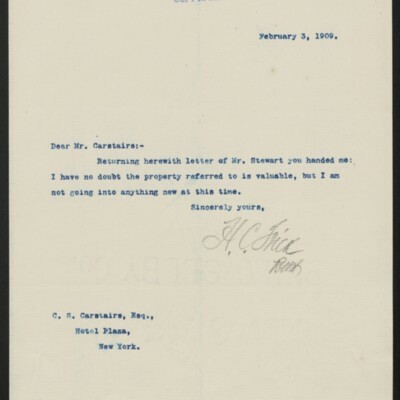 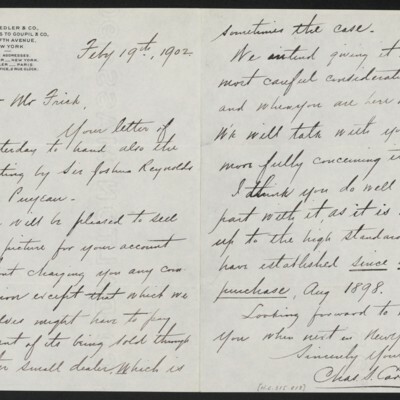 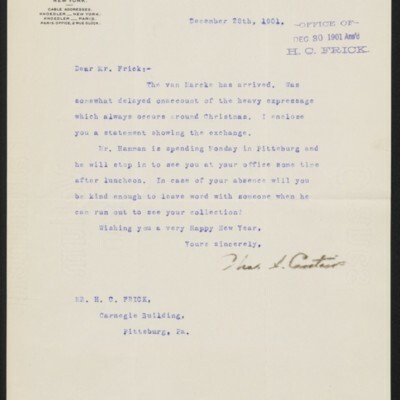 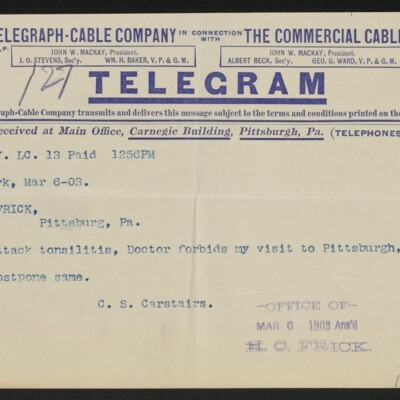 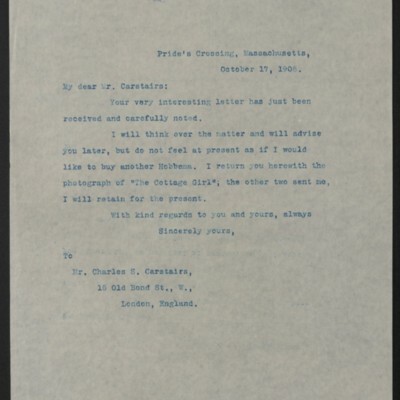 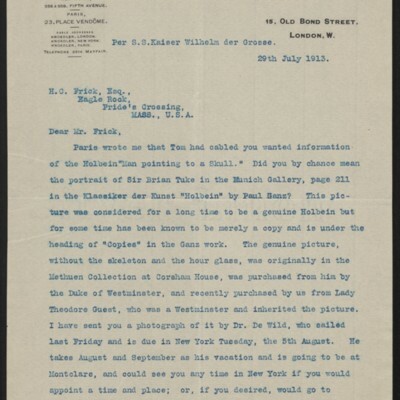 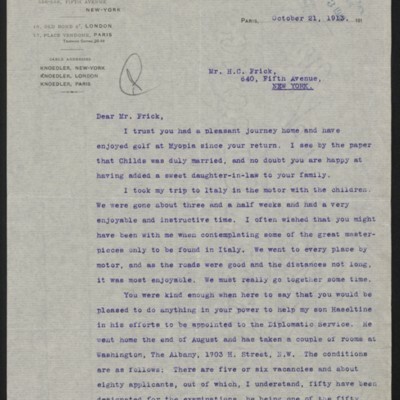 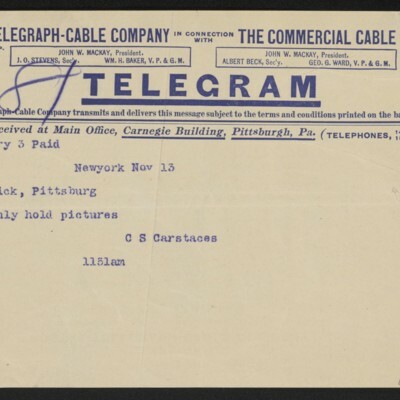 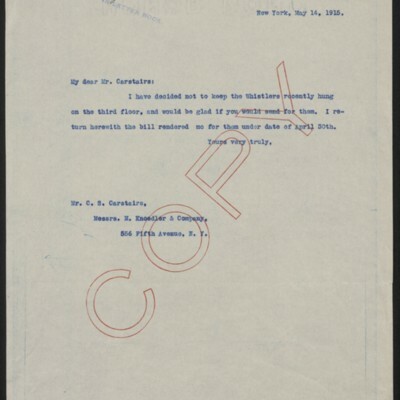 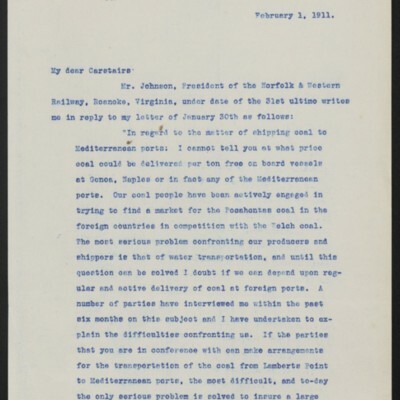 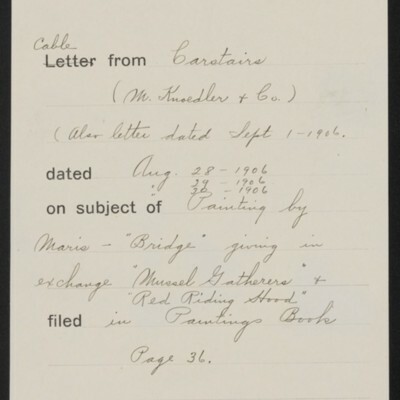 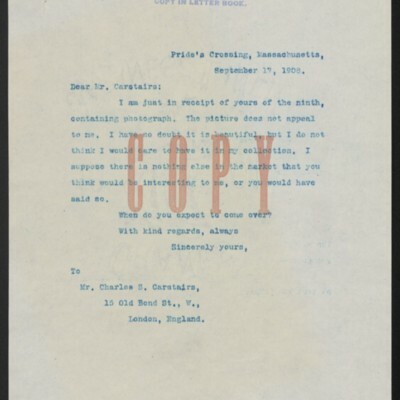 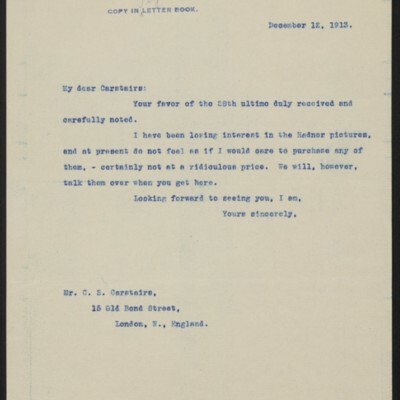 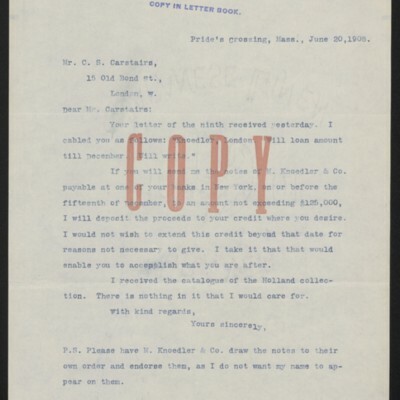 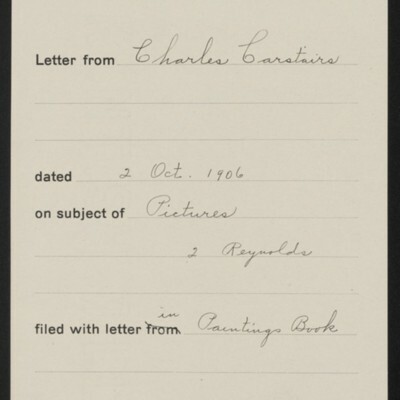 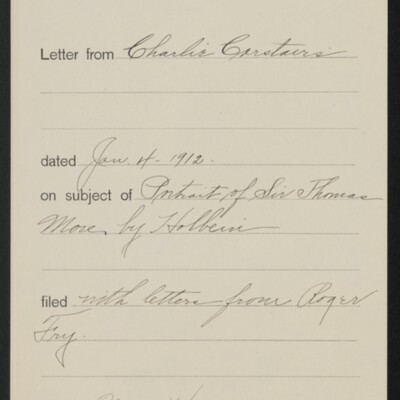 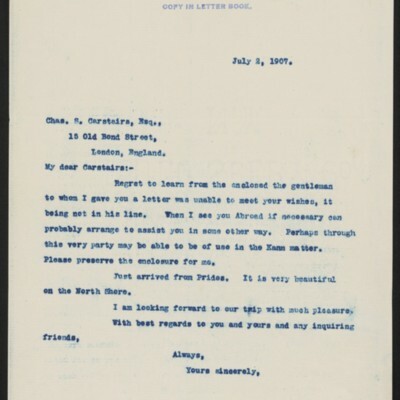 An art dealer with the firm M. Knoedler & Co., Charles S. Carstairs corresponded with Frick from 1897 to 1919. 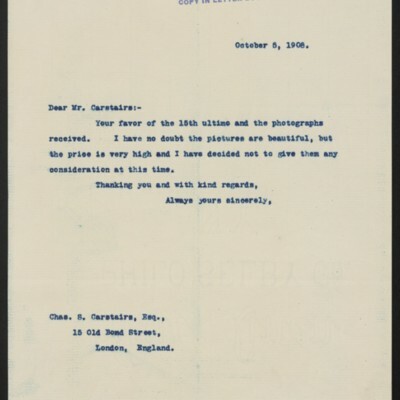 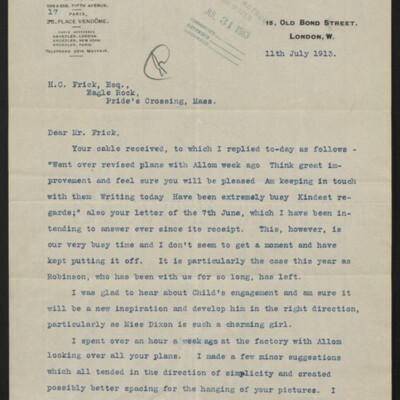 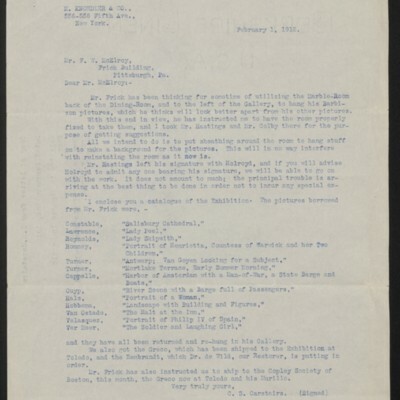 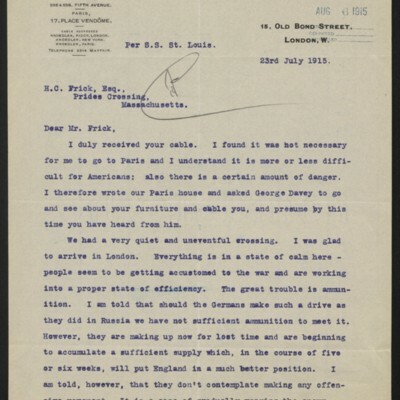 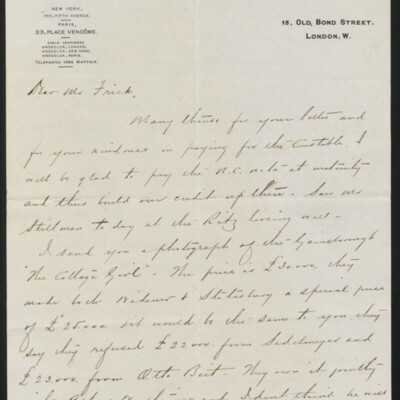 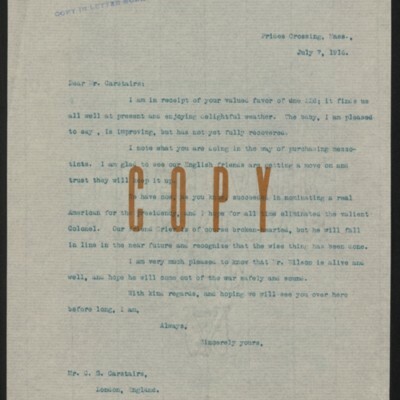 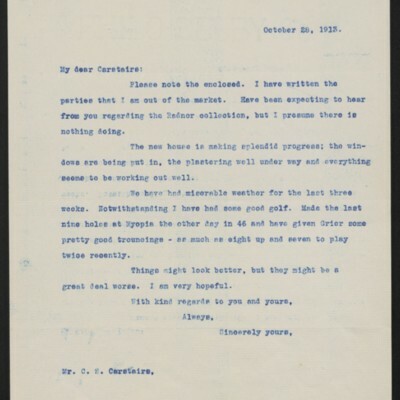 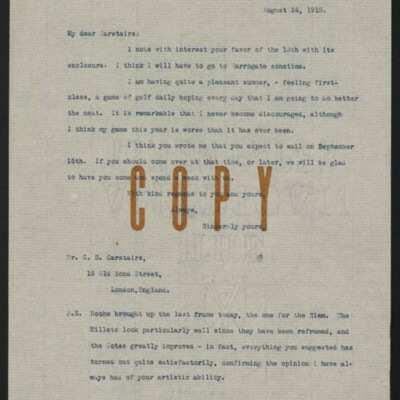 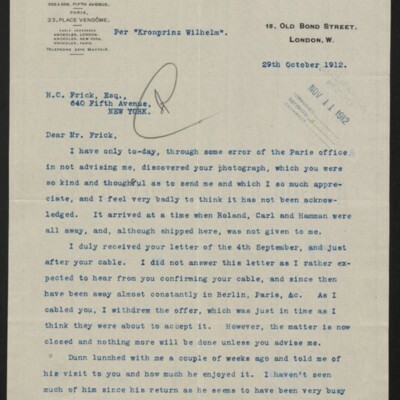 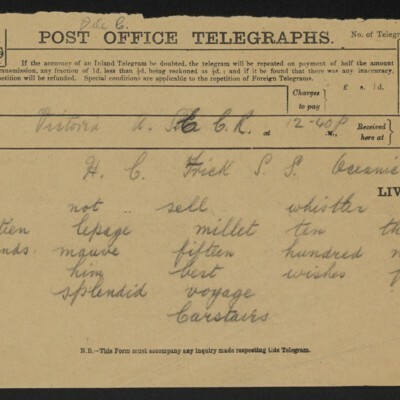 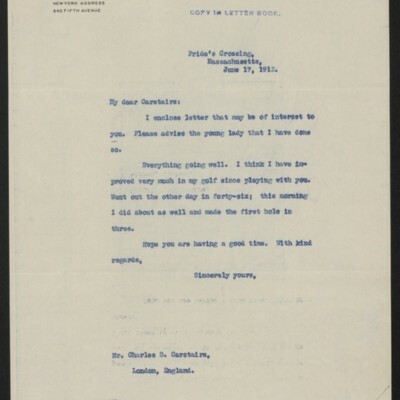 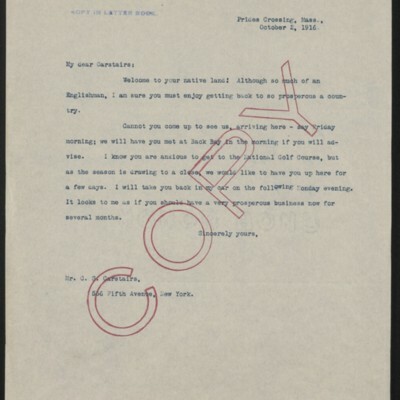 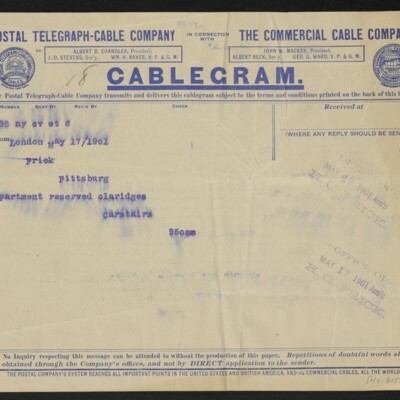 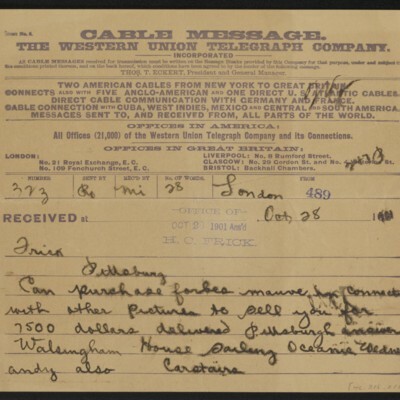 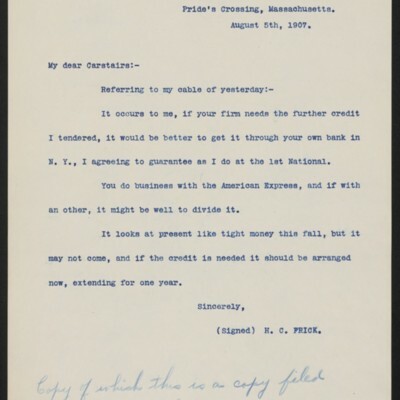 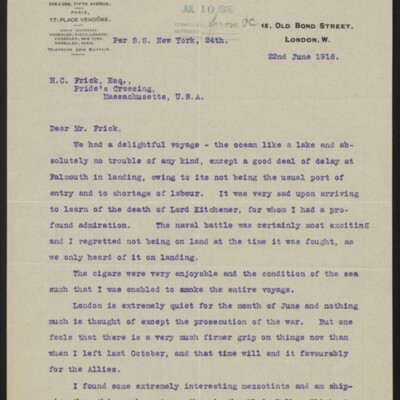 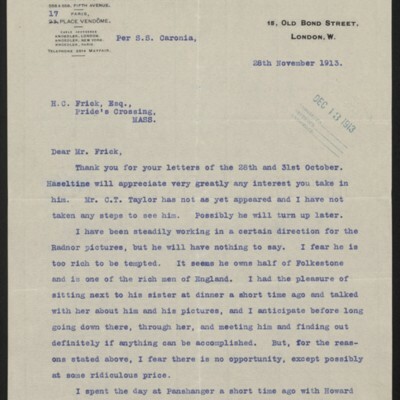 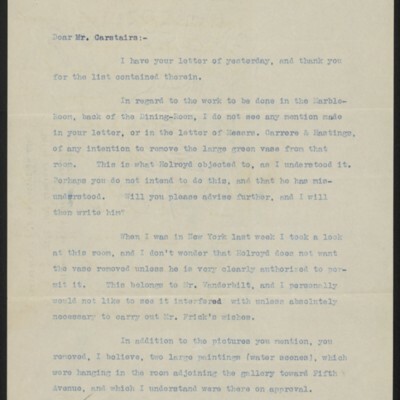 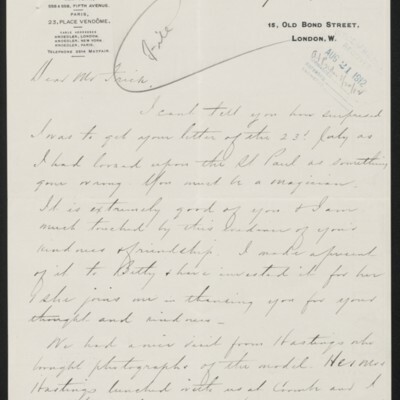 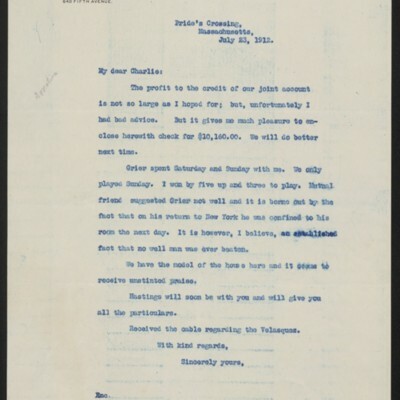 Their letters discuss art works (both purchased and unpurchased), the art market in general, other dealers and collectors, and more casual topics, such as family and mutual friends. 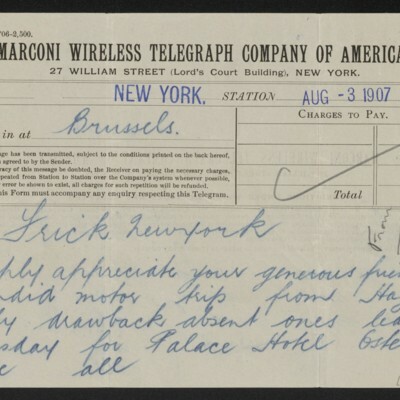 Frick’s secretary, F.W. 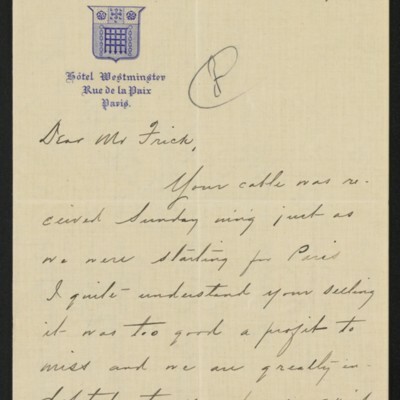 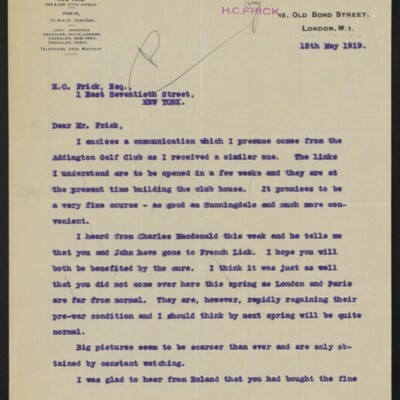 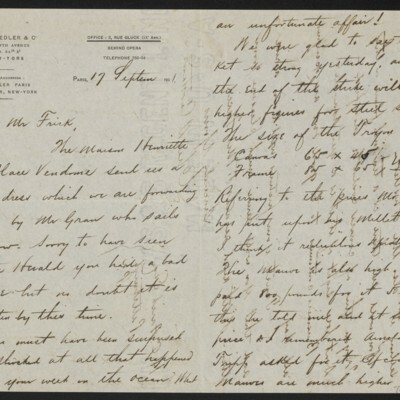 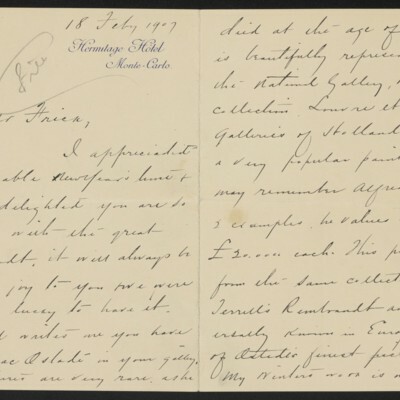 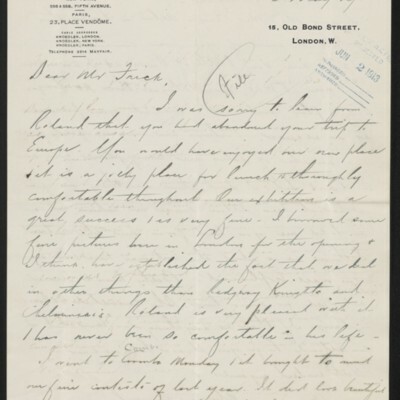 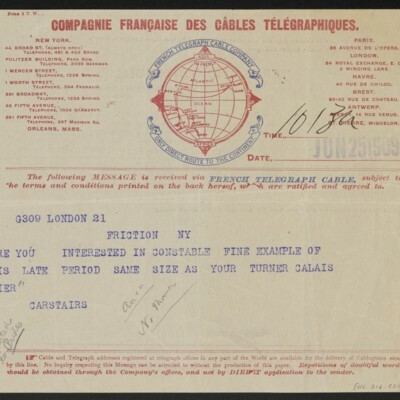 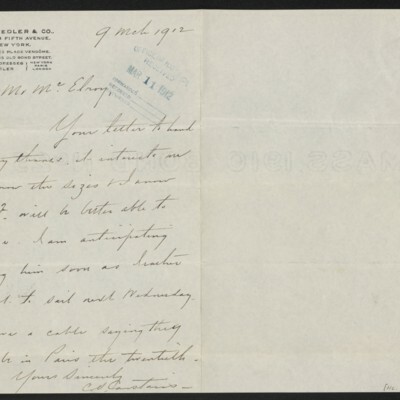 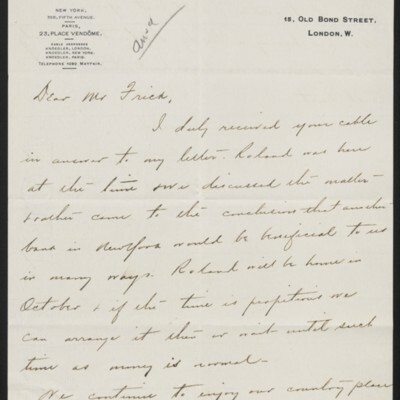 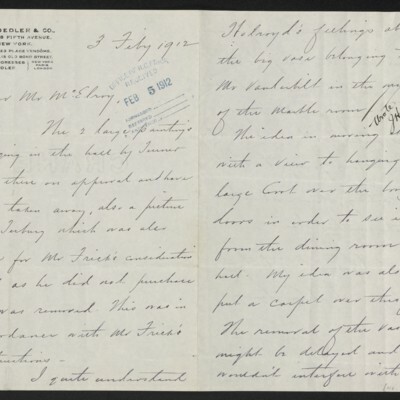 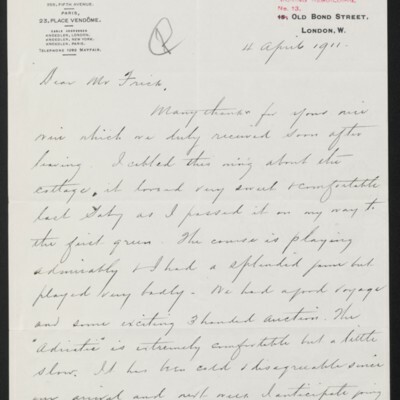 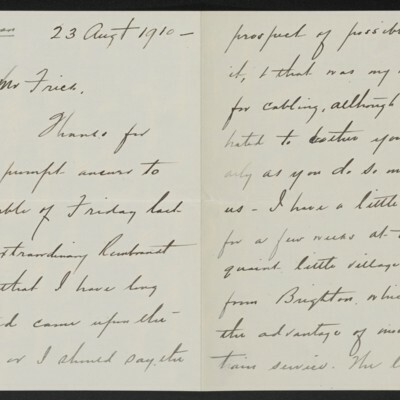 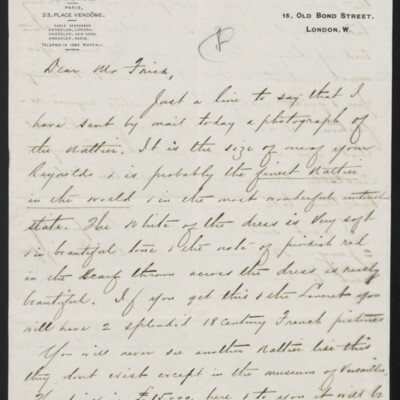 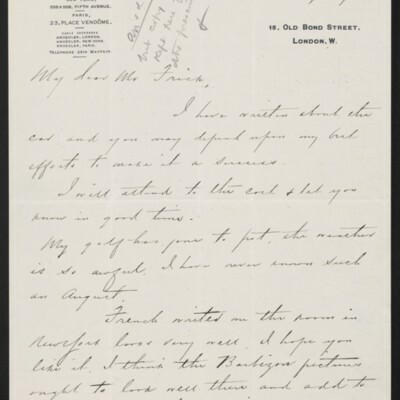 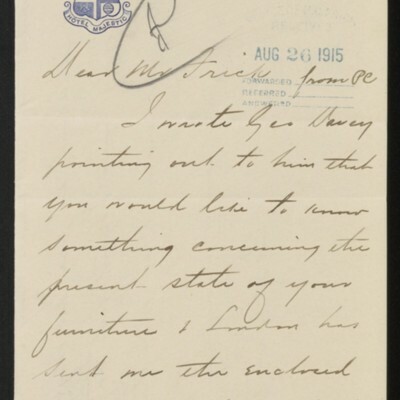 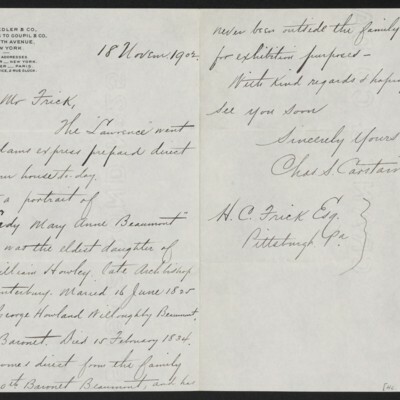 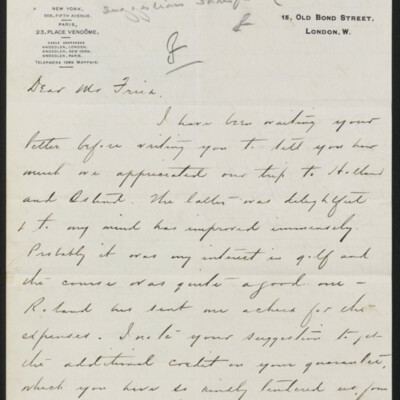 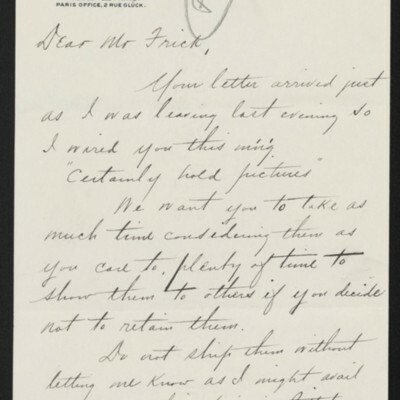 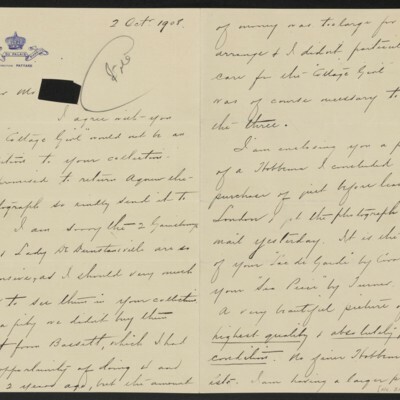 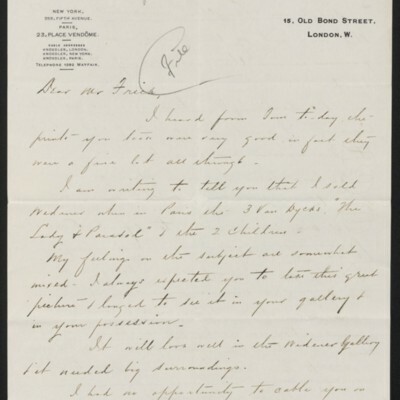 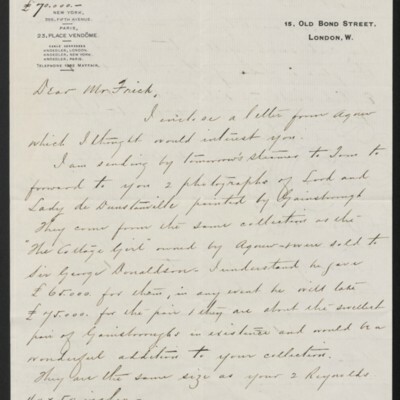 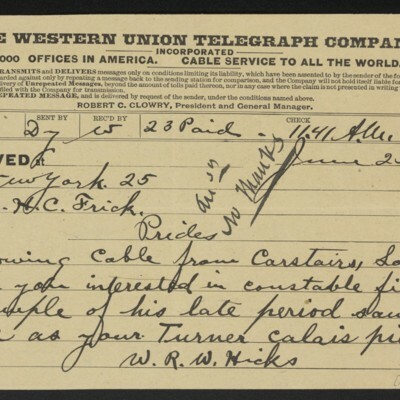 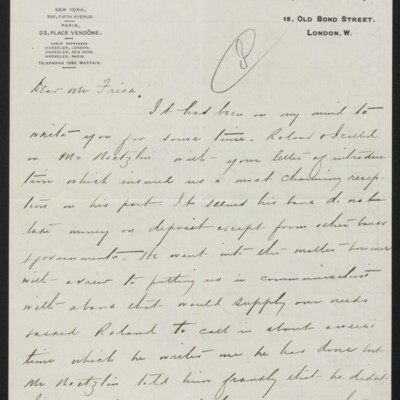 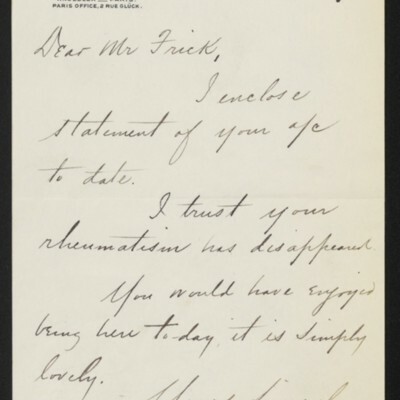 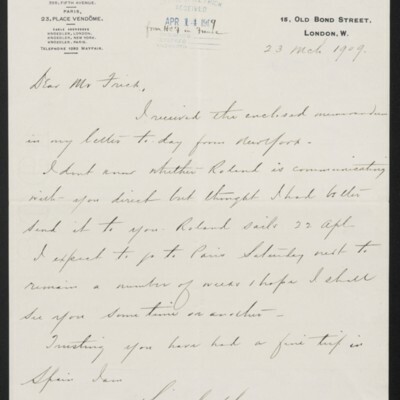 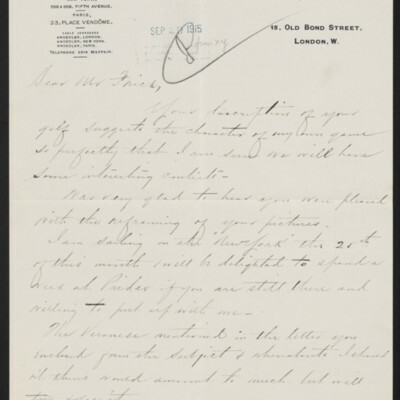 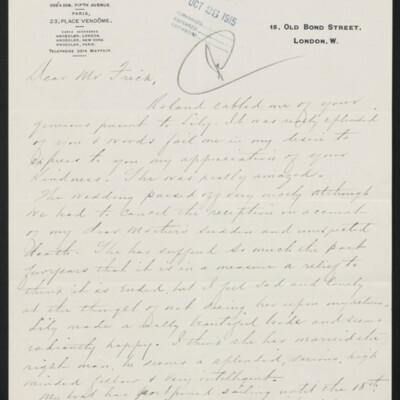 McElroy, occasionally wrote to Carstairs on Frick’s behalf.